Both Clif and I are very keen on Chinese food, and Lucky’s, as it’s known locally, has a tasty buffet with nary a hint of jello of any color. In Maine, alas, it is all too common for jello to be featured in many buffets at Chinese restaurants. As a rule, the jello is an indication of the quality of the rest of the food. 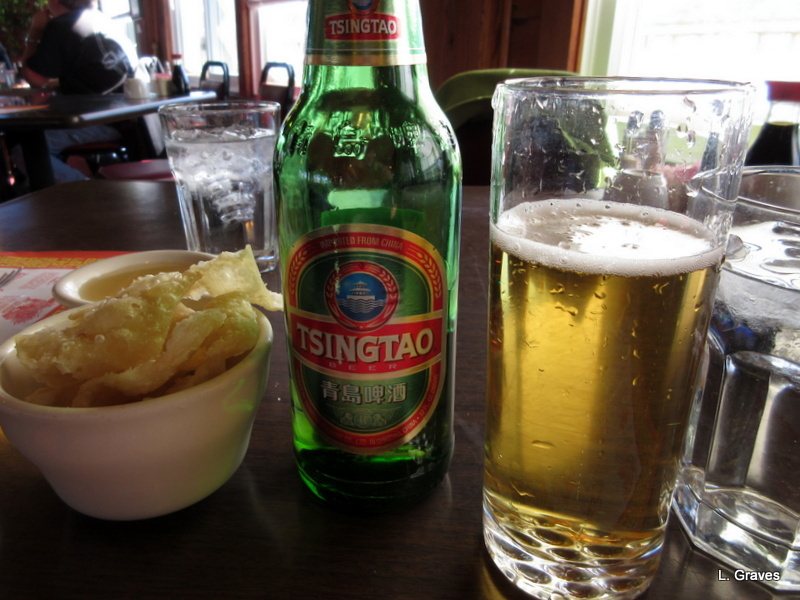 Clif decided to try the Chinese beer, which he described as a bit like a light lager, and it went well with the food. 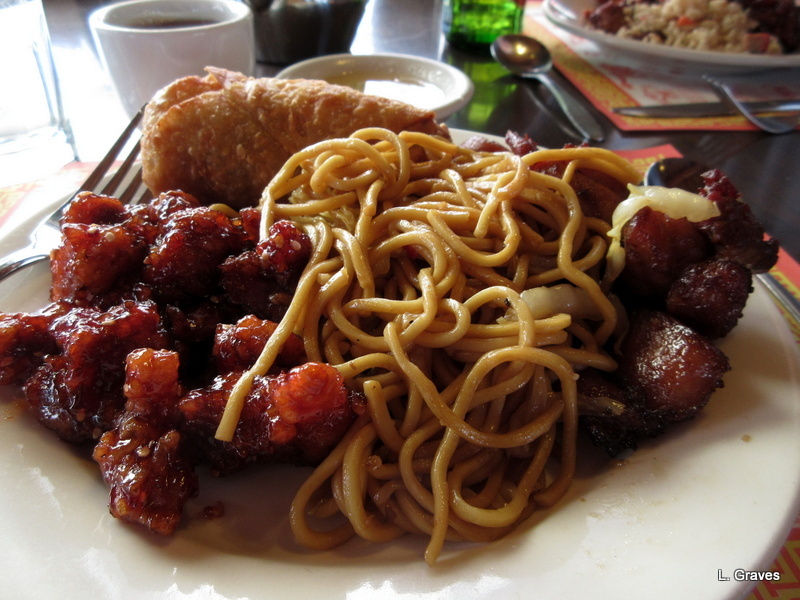 Here is my plate of noodles, and sesame chicken, and egg roll. 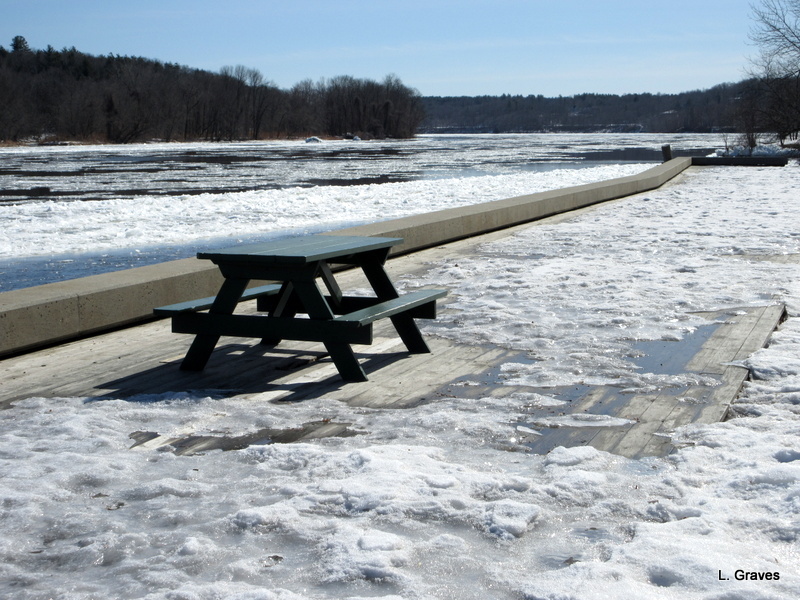 After lunch, we went down to the landing by the Kennebec River so that we could take pictures of the ice chunks. 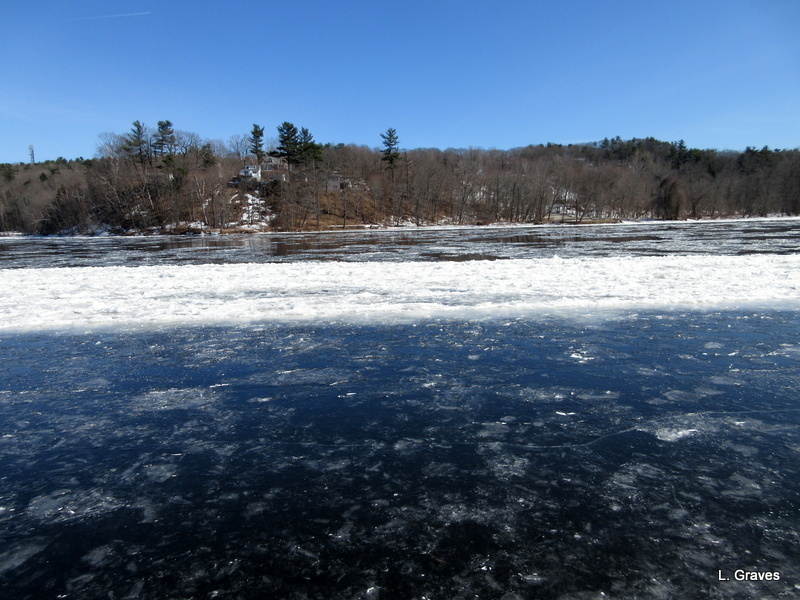 I especially love this time of year when the ice in the river is in the process of melting, and the chunks are heading out to the Atlantic, many miles away. As the photos indicate, the day was bright and sunny. A perfect day for pictures. Not so today. A nor’easter is blowing up the coast, and the prediction is for between sixteen and twenty inches of snow. Clif and I will be staying home today—no going out and about in such stormy weather. But, today is also pi(e) day, a perfect time to make one of Clif’s favorites—apple pie. And after all the cleaning we’ll have to do after this storm, apple pie will be just the thing. I’ll be sure to post a picture tomorrow. Glad to be of service! Off to make apple pie. Happy apple pie to you! We had a delicious piece of raspberry pie for lunch. It is a total white out here right now. Oh, raspberry pie! Love it! 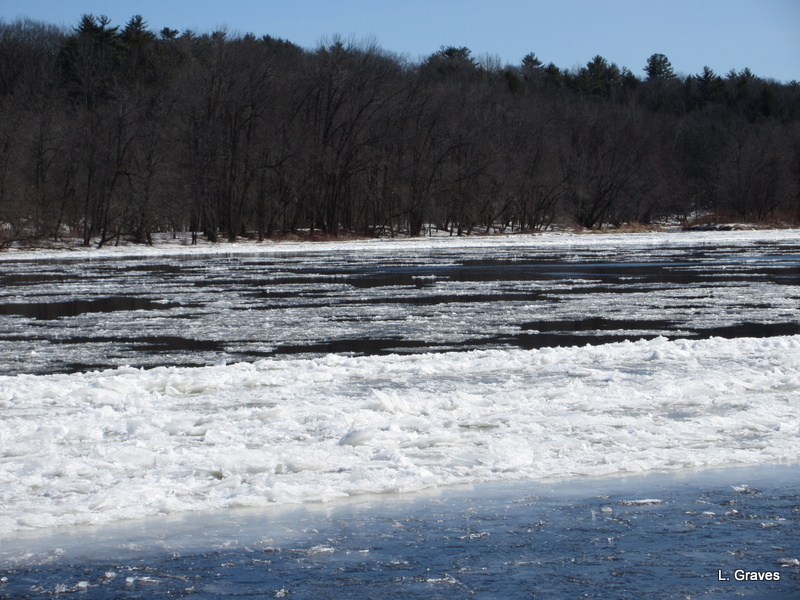 Fascinating images of the ice on the river. Thanks, Helen! Fascinating to watch, too. 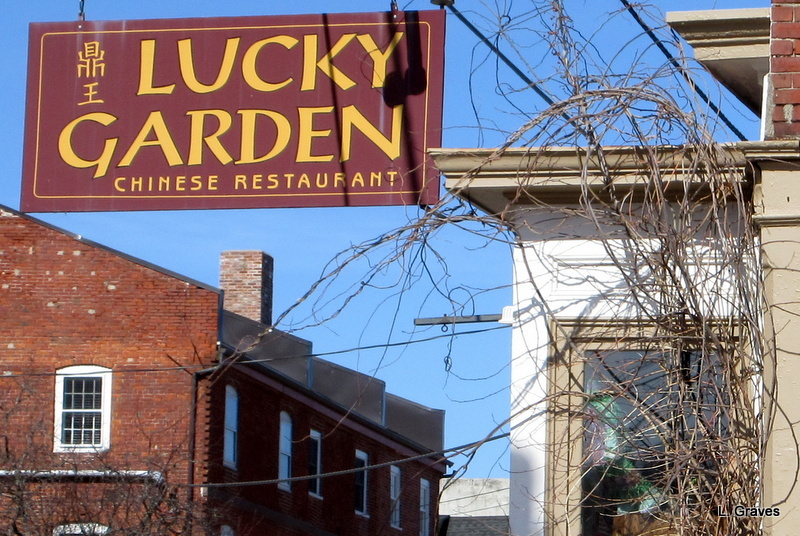 Our favorite place is next door to Lucky’s. Cafe de Bangkok! Love their Thai food and Sushi. Food is good there, too. But we love Chinese food. The Chinese food looks delicious. I know what you mean about the Chinese restaurants with jello. The worst Chinese place I ate at was in Pierre, South Dakota. The waitress was a large, very occidental woman named Olga. And the thing that puzzles me is that even when the food is bad, it always smells so good. Happy anniversary! Sounds like you guys are enjoying celebrating. 🙂 The pictures are lovely. Too bad about another storm – guess winter isn’t quite through with us, yet. Take care. 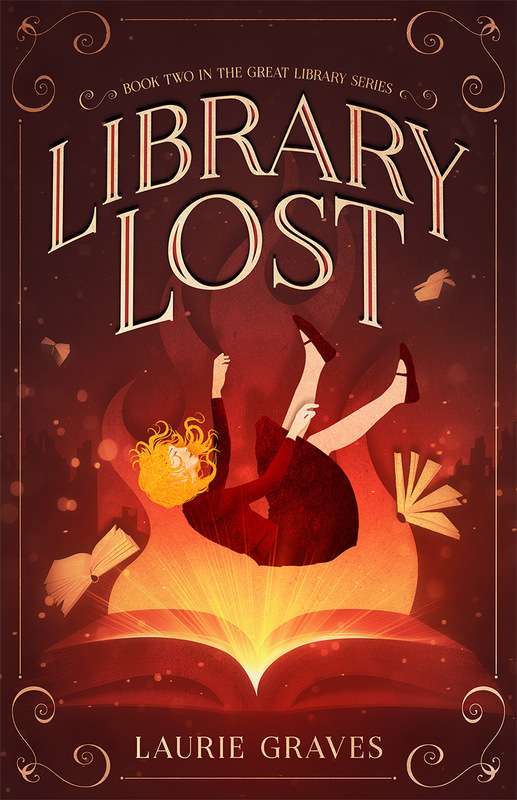 Thanks, Carina! So much snow, even for Maine.